Luis Garcia (20C) created the Facebook group, originally titled “MemEmory,” on Jan. 30, 2017. He subsequently promoted his then-hallmates, Cheng Jiao (20C), Mahad Khan (20B) and Kevin Tang (20C) to admin status and David Luo (20C), to moderator. Later, the group adopted its current name to make it easier to find for students who want to join, according to Khan. Tang noted that “humour can only go so far,” and that the administrators screen meme submissions for offensive or insensitive content before approving posts. Khan described the approval process as “pretty democratic” and simple — avoid harassment and hateful content. “We all look at the memes before they pass,” Khan said. As outlined in the description, administrators promote group safety by encouraging members to refrain from “targeting or harassing individuals” or from “posting hateful content,” as well as keep content relevant by prohibiting advertisements or non-Emory related submissions. Khan said he prefers a moderated discussion as opposed to an argument in the comments section, which can often devolve into personal attacks. He said they’ve acted as moderators both in-person and via online group chats for parties who have posted memes that others have taken issue with. Khan said he thinks Emory’s meme page helps foster a stronger Emory community. Tang added that the meme page connects Emory students with each other. 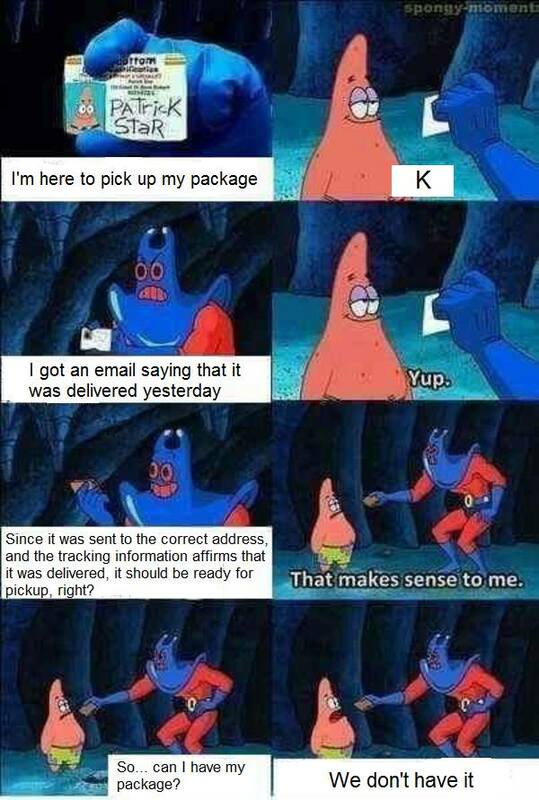 Luis Gomez Flores (21C), creator of the page’s most-liked post, a Spongebob-based meme depicting inefficiency in Emory Mail Services, also said he thinks the meme page builds community. Garcia said the Emory meme community has expanded to include more than students. Some of these people include prospective Emory students, according to Khan, who said University meme pages can impact admissions. “Nowadays, a lot of high school students who are looking to apply to colleges will join different meme pages and look at the sense of humour that they see in the school as sort of a factor in their admissions process,” Khan said. Aubrey Graham, an Emory professor who teaches a class called “Visual Culture,” classifies memes as visual culture that are an important aspect of how people today communicate, even citing a meme depicting a branch in the DUC as a vegan option as one she enjoyed. 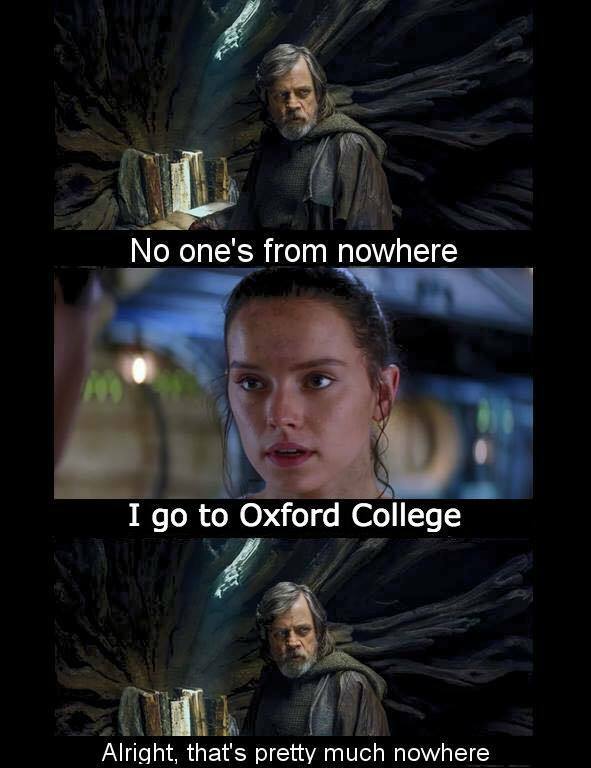 Nate Sun (19Ox), another contributor, sparked an Oxford vs. Emory meme war when he posted a Star Wars-based meme patronizing the Oxford campus. Sun described the recent Oxford vs. Emory memes as a friendly feud. The administrators said they find the meme war to be hilarious but positive, despite its cantankerous nature. Other trends, according to the administrators, include memes that poke fun at Goizueta Business School students, pre-med students and last year’s scandal involving a fraudulent, third party booking agency that scamming Student Programming Council’s (SPC). Garcia expressed gratitude that content mainly comes from the community rather than the administrators, noting that in the early days most of the posts were from the five of them. The administrators said they are unsure if they will eventually appoint new administrators or retain their responsibilities after graduation. However, they expressed hope that members will continue to contribute content. Dank memes, despite their tendency to criticize certain aspects of Emory, seem to provide a sense of cohesion for students, faculty and others and reflect the University’s culture through depiction of campus events.